Keeping your heater in great condition is a major priority, and the professional Wichita heating contractors at Ball Heating & Air Conditioning are here to help. With our experience and knowledge, we can help you with any of the heating needs you have for your Wichita home. From tune-ups or repairs to full installation, we'll be ready to make sure that your heating system is always in the best condition possible. At Ball Heating & Air Conditioning, we know how important your heating system is, so when you have a problem with your heating, we'll always be ready and eager to solve the problem as quickly and accurately as possible. Our heating repair contractors are all extensively trained and experienced, so we will always be able to quickly identify any problems that you're having with the system and take care of the problems as quickly as possible. Our heating experts are all licensed, certified professionals with the training and experience you need from a contractor. We'll always be able to guarantee that your heating installation is performed to the highest standards of quality. We can install any kind of heating unit, including furnaces, heat pumps, and boilers. The best way to ensure that your Wichita home's heating system is always up to the task of providing you with the warmth that you need for your home is to have regular tune-ups performed. Our professional recommend that you have heating tune-ups performed at least once each year, preferably in the Fall, just before the heating season is in full swing. At Ball Heating & Air Conditioning, we know how important your furnace is to your Wichita home, and how important your heating is you and your family, so we're always ready to provide you with the highest quality furnace repairs possible. Our professionals have extensive experience and training working with all types and brands of furnaces, so we're able to quickly and accurately diagnose and solve any problems that you encounter. We know that furnace replacement can sometimes be a big deal. With Ball Heating & Air Conditioning, we make sure to walk our clients through each step of the process. We want to make sure you get right furnace for your home and for your budget. Predicting when a serious problem might occur with your water heater is almost impossible, so it's very important that you take care of problems of any size as soon as possible. If you notice any problems with your water heater, call the professionals at Ball Heating & Air Conditioning immediately for repairs. We'll help you ensure that your water heater is always in great condition and running as efficiently as possible. On-demand water heaters, which are also called instant water heaters or flash water heaters, are already extremely popular in countries in Europe and in Japan, and they're rapidly becoming more popular in the US. They offer several advantages over traditional water heaters, and our professionals would confidently recommend them to any homeowner in the Wichita area. The professional heating and cooling contractors at Ball Heating & Air Conditioning can install on-demand water heaters throughout your home promptly and professionally. 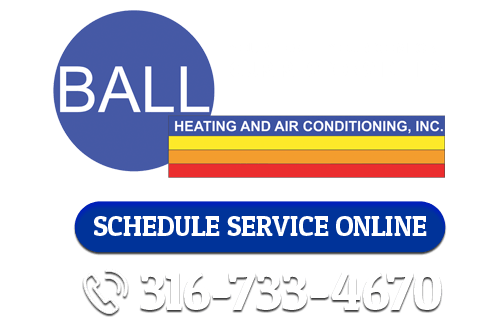 If you're looking for heating services in Wichita, call Ball Heating & Air Conditioning at 316-733-4670, or fill out our online request form.